Madison Event Highlights ADA 25th Anniversary and Artists with Disabilities ⋆ Employment Resources, Inc.
ERI was pleased to be participate in the recent Top of State Showcase of Artists with Disabilities in celebration and recognition of the Americans with Disabilities Act (ADA) 25th Anniversary this year. 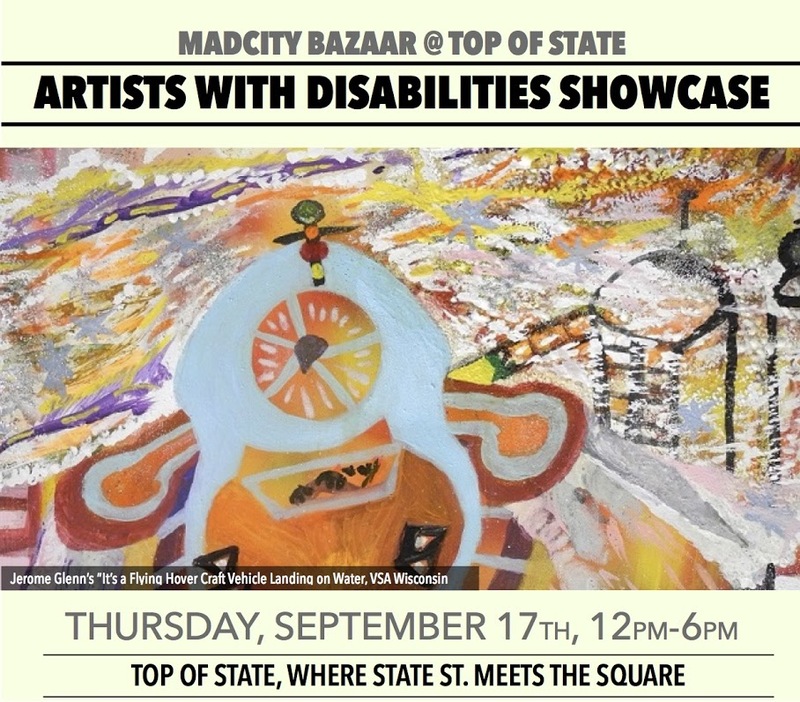 On Thursday, September 17th, MadCity Bazaar @ Top of State celebrated the 25th Anniversary of the American’s with Disabilities Act by presenting an Artists with Disabilities Showcase. The event took place from 12 Noon to 6pm at the Top of State, where State Street meets the Square (Philosophers’ Grove, 100 S. Mifflin St.). We were pleased to meet and view art from a variety of local artists with disabilities. ERI shared information about the ADA and challenges that remain.